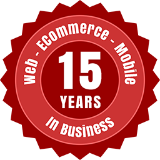 High powered websites and ecommerce systems are made easy with QuickBizSites. QuickBizSites is a service of EZOT.com. EZOT, Inc. was founded in 1998 with one simple goal in mind: To empower the average business to easily and affordably take advantage of the latest and most powerful Internet technologies. EZOT has conveniently packaged these technologies into our browser based site management platform called QuickBizSites. From site design to e-commerce, QuickBizSites users are able to more effectively control and manage their own Internet presence using the TruTemplate Site Manager technology. EZOT's flexible partner programs allow business service providers, application service providers and web site hosting providers to provide customized versions of TruTemplate to their customers. EZOT's development and design staff creates custom solutions built on top of the BizStudio platform. EZOT offers the following services to create custom solutions that meet your needs.